Bhubaneswar: Chief Minister Naveen Patnaik on Monday urged Prime Minister Narendra Modi to accord ‘Special Category State’ status to Odisha to fast-track the ongoing development in the state. In a letter to PM Modi, Patnaik thanked him for convening the 4th meeting of the Governing Council of NITI Aayog and furnished the views of the state government on some important issues. “With a high percentage of population belonging to Scheduled Tribes and Scheduled Castes and the state facing frequent natural calamities, Odisha deserves to be accorded “Special Category State” status to fast-track the ongoing development and may be treated at par with North-Eastern and the Himalayan States for the sharing pattern of Centrally-sponsored Schemes,” the CM wrote. Speaking about transforming agriculture sector and doubling farmer’s income, Patnaik requested the PM to increase the Minimum Support Price (MSP) for the crops. “Though the announcement made in the Union Budget that the MSP will be kept for all crops at least at one and half times of the production cost is a welcome one, I am of the view that the cost of production must take into account the actual cost incurred by farmers on a realistic basis. We are keenly waiting for the modalities of calculation,” Patnaik said. 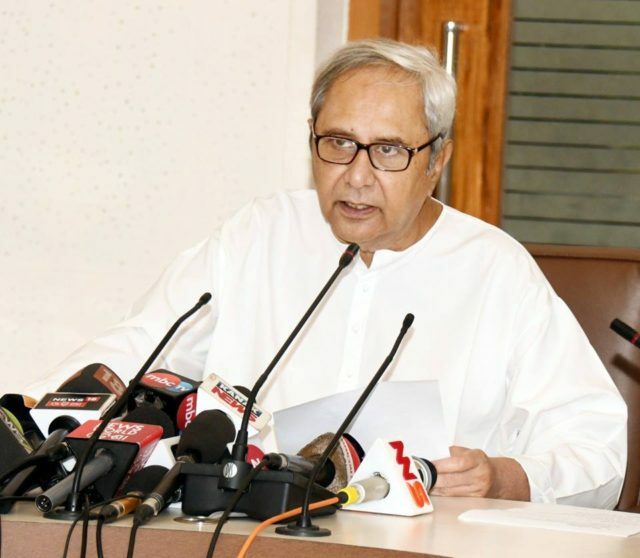 The Odisha CM further stated that apart from assured and remunerating marketing, policy reforms are also needed to provide access, adequacy and timeliness of institutional credit. He also recommended for a National Policy on Loan Waiver in order to relieve the farmers from the agrarian distress. The CM suggested for the creation of a Credit Guarantee Trust for Agriculture (CGTA) on the lines of Credit Guarantee Trust for Micro and Small Enterprises (CGTMSE) through which collateral free agricultural loans upto Rs 50 lakhs and collateral free crop loans upto Rs 2 lakhs could be extended backed only by the guarantee of CGTA. “Further, in order to have holistic development and transformation of the agriculture sector, I would suggest that recommendations of the Swaminathan Committee on farmers may be implemented in right earnest on a fast track mode,” the CM wrote. “It is my firm belief that we should move towards a system of near-universal coverage. The dependence of NHPS on SECC data will be a serious handicap in achieving this. 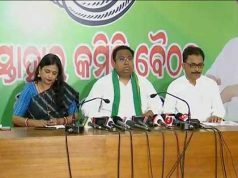 As you will agree, the SECC survey done on the criteria fixed by the UPA Government has grave lacunae and many genuine poor have been left out,” the CM added. “Whenever our state has implemented any programme, we have gone for near universal coverage – as in schemes like MAMATA, Rural Housing, State Pensions for Old Age and also NFSA,” the CM went on to state. Stating about health scheme, the CM said about 40 lakh people (8 lakh families) who are already covered under the Health Assistance Schemes of our state government will be left out if we take SECC data as a base. “We had put forth our concerns regarding genuine beneficiaries being left out. The CEO, PMRSSM has informed that it is not possible to go beyond the ambit of SECC data,” the CM wrote. “Our State Government has a mandate of providing near-universal health coverage. In view of the same, our government has announced a health assurance scheme which will cover nearly 70 lakh families of the state. However, we will still be willing to consider joining NHPS in due course if the concerns of the state are addressed adequately,” CM added.